It’s time the Obama administration handled the crisis without petty finger-pointing. Mixing the possibility of a deadly pandemic together with the incompetence of the Washington bureaucracy produces a cocktail that is poisonous to public confidence. No one gets high marks for the way the Obama administration has handled the arrival of Ebola on American soil – especially the president. It’s times such as these, when little is known and even the slightest misstatement could cause a general panic that the American people look to the president for leadership. Instead, what they are getting is more of the arrogant, self-confident, “smartest guy in the room” pronouncements and hectoring for which President Barack Obama is now famous. Instead Obama has failed time and again to demonstrate he has a firm grasp on the situation. He’s not taking concrete steps – using his phone and his pen – to prevent the disease from spreading. Instead he’s letting his subordinates – no doubt thoroughly schooled in the Saul Alinsky arts of manufacturing or at least using a crisis to force the political system to give in to your demands – make outrageous statements intended to turn a potential public health catastrophe into a weapon of political leverage in the closing days of the current campaign season. The worst thing yet said is perhaps the contemptible charge leveled by National Institutes of Health Director Francis Collins that if it weren’t for budget cuts insisted upon by congressional Republicans, the agencies under his direction might already have come up with a cure for Ebola. The data contradicts his statement (the National Institutes of Health have had plenty of money since former House Speaker Newt Gingrich decided to plus up its budget back in the 1990s), but was an otherwise effective misdirection. 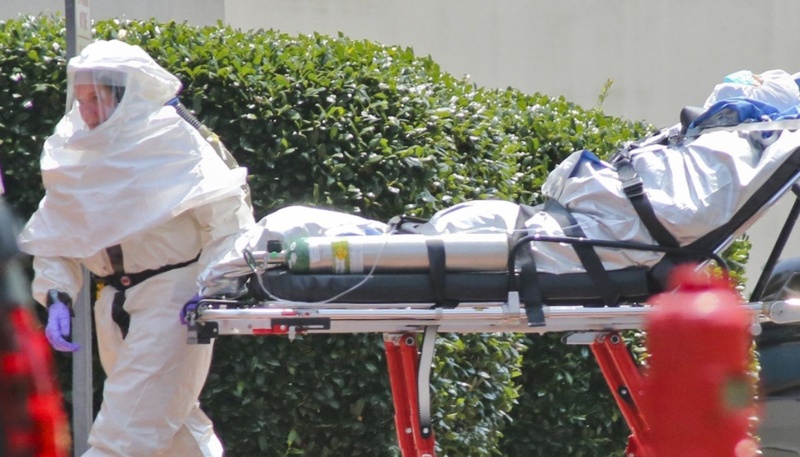 Instead of talking about how to handle Ebola – and remember there are still only a handful of confirmed cases here in the United States – and how to keep it from becoming the pandemic everyone fears, the politicians and their media echo chamber have been reduced to self-serving debates over which party might be at fault. Arkansas Democrat Sen. Mark Pryor tried this unsuccessfully back in September, charging his Republican opponent in the U.S. Senate contest, Rep. Tom Cotton, had voted to block funding of agencies that could have stopped the spread of Ebola. In fact, some analysts suggest Pryor’s eventual slide into defeat – if that’s how the election turns out, and it looks like it will – will be traced back to the egg that allegation laid. You’d think the White House and the Democratic Party might have learned from that example, but no. For the most part, but not exclusively, the Republican congressional leadership has behaved in a responsible, evenhanded manner. They’ve called on the president to take some specific steps to address the Ebola threat but have yet to truly press him on the matter. They certainly haven’t tried to convince the public that Ebola in America is Obama’s fault as members of the president’s party have tried to lay the blame on the GOP. Again, it all comes down to leadership. Instead of just suspending his fundraising trips, the president would do well to speak to the nation, outlining just what he proposes to do on his own, what he will ask Congress to authorize him to do and how he will bring the nation’s governors, health care providers and best minds in medical research together to develop a plan to keep Ebola from spreading. It might also be useful for him to fire the National Institutes of Health’s Collins over the finger-pointing incident, saying that we need to be focused on what we do moving forward rather than who is to blame for what did or didn’t happen in the past. But that is perhaps too much to ask, not because Collins was wrong but because finger-pointing and looking backward is so much a cultural component of the Obama administration that it is all too easy for everyone to claim, with some justification, they were only follow the lead set down by the commander in chief. Now is the time for clear thinking and clear direction rather than second-guessing what everyone is doing. It will be a lot easier to stop the spread of Ebola at patient three than at patient 30, patient 300, or patient 3,000. The president has the authority and the ability to bring everyone into line; the question really is whether he will act on either.